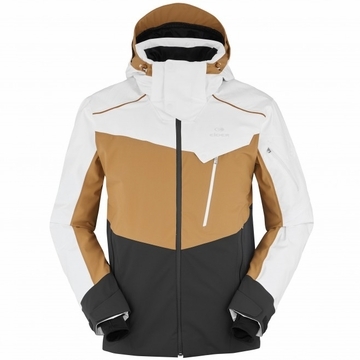 For on-piste skiers who demand top-quality construction and sporty style, the Deer Valley will both perform and turn heads on the slopes. The DEFENDER 4-way stretch fabric allows the jacket to mirror the bodys movements, while maintaining the highest level of waterproofness and breathability, and the Primaloft Eco insulation, body mapped at three different weights throughout the body, offers an excellent warmth to weight ratio. The Deer Valleys mix of top-of-the-line features, along with its classic sporty style, laser cut details, and athletic cut, make it a must-have for todays resort skier.